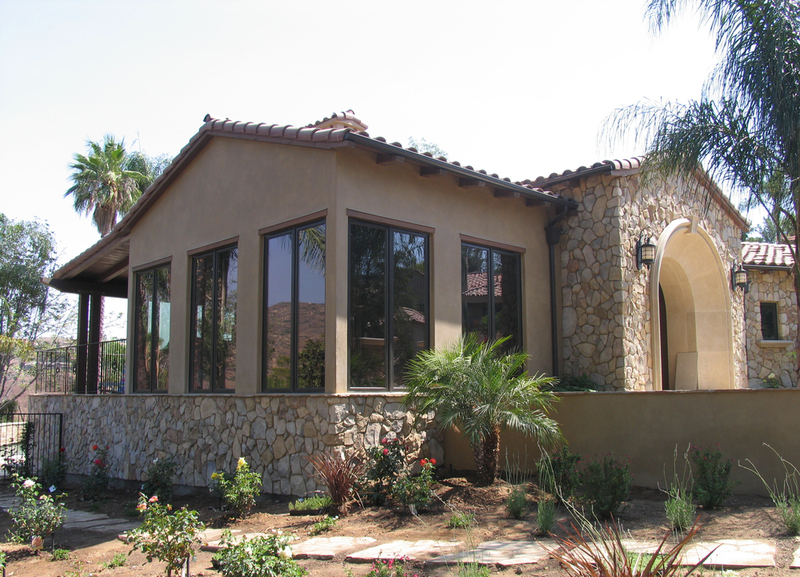 Following the devastating wildfires of 2007, this Rancho Bernardo home was left with just a standing chimney. Two years later, this 5,000 sf Tuscan villa rose. This home takes full advantage of its spectacular views to the east. Indoor to outdoor living was a necessity for the clients and achieved with large sliding doors and loggias both shaded and covered. pool. These systems are placed on the south and west facing roofs to maximize efficiency and are oriented away from primary views.